Debra Hanberg joined UBC’s Collaborating Centre for Prison Health and Education as a Project Manager in 2011. Since that time she has managed several prison health research projects focused on preventive health and reintegration. She is currently responsible for a 5-year project focused on developing a participatory approach to preventing sexually transmitted and blood-borne infections among federally incarcerated men in BC. 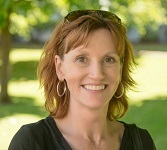 Prior to joining CCPHE, Debra was the Research Administrator for UBC’s Department of Family Practice Research Office where she managed its research programs and administrative activities. Debra graduated from UBC with a BA in Philosophy and continued her education at SFU in Sustainable Community Development. She is passionate about the opportunities community-based participatory research holds for affecting positive change for men and women inside correctional facilities and reintegrating back into the community. Kate joined the Collaborating Centre for Prison Health and Education in March 2016. She is currently coordinating a three year project aimed at developing trauma and resiliency-informed supports for men with a history of incarceration. Kate completed her Masters degree in Anthropology from UBC in 2015. Kate is dedicated to working with men and women who have experienced incarceration through CCPHE’s participatory and collaborative approaches to prison health research. 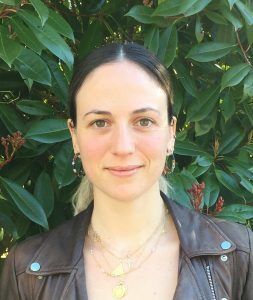 Julia Santana Parrilla is a Graduate Student at the University of British Columbia’s School of Population & Public Health as well as the Transformative Health & Justice Research Cluster Project Coordinator. Julia’s background in Sociology has significantly shaped how she approaches and perceives our world, and informed her commitments to the pursuit of equity in health and justice. These are informed by her passions for social justice, population health equity, and storytelling.As a Spanich settler on unceded Tsleil-Waututh (səl̓ilwətaɁɬ), Skwxwú7mesh Úxwumixw, S’ólh Téméxw (Stó:lō), and Stz’uminus lands, Julia is committed to elevating Indigenous voices and the wisdom within toward meaningful and sustainable moves toward equity and justice..
Pam Young joined the Collaborating Center for Prison Health and Education in May 2012. She is currently a research lead for the Unlocking the Gates Peer Mentor Program. She feels very passionate about the work she does with women leaving prison as she herself has lived prison experience and would have benefited from a program like the peer mentor project. She was a peer mentor herself when she originally started with the program. Pam attended Nicola Valley Institute of Technology and graduated from the CHAD program with her Chemical Addictions Support Worker Certificate. Oonagh joined the Collaborating Centre for Prison Health and Education in January 2019. She is currently assisting on a 5-year project focused on participatory approaches to preventing sexually transmitted and blood-borne infections among federally incarcerated men in BC. 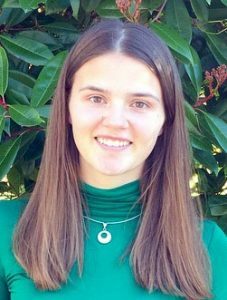 Oonagh completed her undergraduate degree in Physiology and Behavioural Neuroscience from UBC in 2018. Kate joined the Collaborating Centre for Prison Health and Education in September 2017. She is currently the evaluator on a 5-year project focused on participatory approaches to preventing sexually transmitted and blood-borne infections among federally incarcerated men in BC. Kate is pursuing her PhD at UBC in the School of Population and Public Health. She is supervised by Dr. Jane Buxton and Dr. Ruth Elwood Martin. Her research is an evaluation of the transfer of responsibility for health care services in BC’s provincial correctional facilities to the Ministry of Health. Kate completed her Masters of Public Health at UBC.